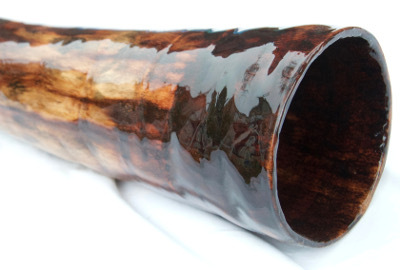 Calling all sound healers and those using didgeridoo for more meditative purposes. At 6.5 ft this didge packs a real punch. It registered in B at 432hz which is one of the most popular tunings for sound healers. B is the crown chakra and this one can take you to an other worldly place. Such an amazing key and if you haven’t tried one of these really deep notes you are in for a treat. At such a great length and long narrow neck this one takes so little breath and is so responsive. Easy overtones, amazing traveling vocals, and nice bass in the drone make this one a special didgeridoo. Playing in an ambient, meditative style has become more important to me now. Maybe it is reaching 40 where I just appreciate where it takes me and is so soothing to the soul. It becomes almost like a natural synth. I have my eye on this one and if its on here at the end of March it might be joining my collection. 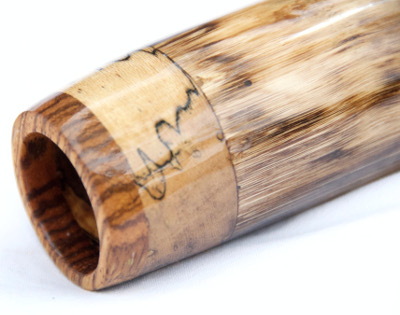 A really special didge!